Elon Musk speaks at a convention. 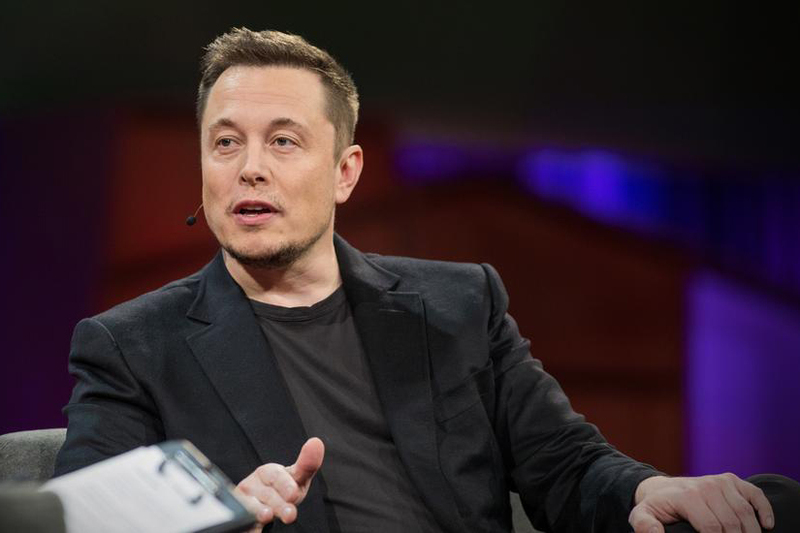 Elon Musk has accumulated a great deal of wealth and notoriety as the head of Tesla. Tesla has become a major company and has a very impressive line of cars which I would not mind owning if I’m being honest. A CEO of three major companies and founder or co-founder to four, he has a lot of experience and success building and running companies. The biggest issue Musk has is some of his actions can be a PR nightmare. Most successful people we hear about were all about hard work, pushed themselves to the limit in college and grinded it out to get their business going. Musk’s story isn’t like that. In college a buddy and him supposedly bought a large frat house for impromptu parties. I just want to know where two college students got that kind of money. He left a PhD program at Stanford to start his own company in the rising Silicon Valley. While it worked out and he became very successful, he never lost these impulsive antics. He has previously talked about creating flamethrowers and his very infamous stunt of paying millions of dollars to shoot a convertible into space just for fun. That same company lost money in the following months and had to lay off jobs that could have afforded with money used to send out the convertible. His current bit of controversy is smoking marijuana on a live radio show which was recorded. After that video was released, Tesla’s stock dropped considerably. While I understand Musk was trying to make a statement, that statement cost both him and investors a good bit of cash. That was only one company as well, we have yet to see any reactions from his other companies. The big issue I think is that while Musk is good at starting a company and making a profit he doesn’t have a lot of training in running a business. He does have an economics degree from University of Pennsylvania which helps explain how he’s so good at money, but business is more than just numbers. Musk needs someone who has a business background to help run these companies and to keep him in check. I’m sure there are at least a couple business moguls who would be willing to work with one of these companies if Musk can’t find someone within. His companies may run around technology, but every major business needs someone who knows how to run a business and avoid PR nightmares. These impulsive moves can sometimes help business or make a political stand, like we’ve seen recently with Nike and Colin Kaepernick, Musk’s have been too risky and have sometimes been for no apparent reason. Shooting a convertible into space doesn’t exactly promote SpaceX in any way and doesn’t make any political statement that I can think of. If anything it was just a waste of money. Smoking marijuana may be a political statement, but it hasn’t shown any positive effects as of yet. Hopefully Musk either learns to control these impulses or find someone to keep him in check.